5 Reasons why you should explore rural Japan! The majority of visitors to Japan, tend to stick to 3 main places – Tokyo, Osaka, and Kyoto. And unfortunately, when they leave Japan, they are left with the Idea that those 3 cities, is all Japan has to offer. But the true Japanese experience comes from stepping outside of those big name cities, and exploring what the little known cities, towns and villages have to offer! So, without further ado, here are the reasons why you should go and explore rural Japan! With higher population and higher tourist numbers, you can’t blame business owners for raising their prices a lot! And it’s because of this, that Japan has a reputation of being an expensive country. But in reality, its quite the opposite, providing you go to right places! These prices are most easily seen in the prices of drinks in vending machines. Although the prices are not that different, it still emphasizes our point. 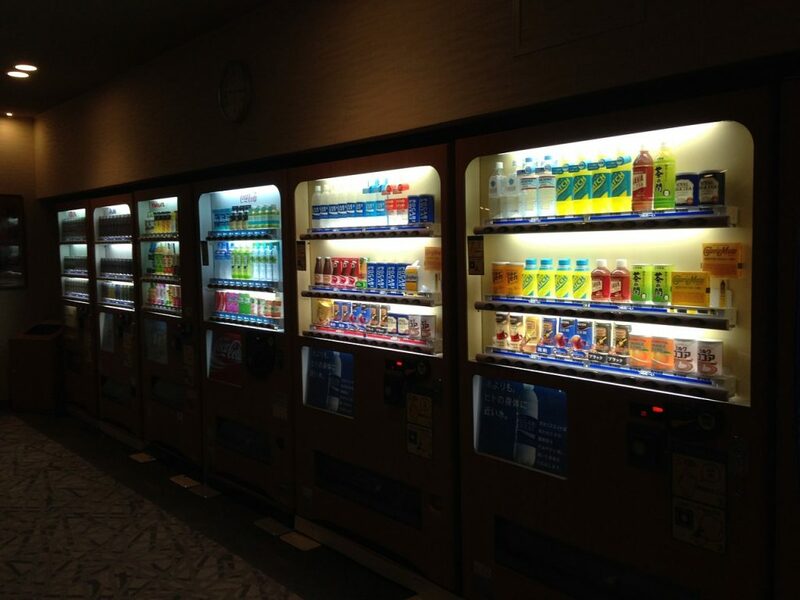 In Tokyo, or another large cities, The average drink price from a vending machine, might be upwards of 160JPY, whereas, in the countryside, the average price would be 110JPY. But it’s not just drinks from vending machines, but things that will reduce your travel expenses tremulously. Obviously, Hotels are quite expensive, and now with the restrictions on Airbnb in Japan (Only allowed to be open for 180 days a year), accommodation in large cities is a major expense. For a very similar hotel room, you can expect to pay 8,000-10,000JPY more a night! For that price, it would be more cost effective getting a hotel room outside of a large city, and taking the train to where you want to go! There is something special about being the only person at a shrine, or at an attraction. It’s quiet and peaceful, which adds to the atmosphere. In large cities, you will hardly ever have a temple or shrine all to yourself, whereas in the countryside, you will rarely see another person, and even less of a chance that you will see other foreigner. Less people at a shrine or a temple also means that you can take a lot better photos of the iconic sites, without people walking through your photos. Ultimately, you will likely have a more peaceful journeys throughout rural Japan that you would in the large cities. With the Tokyo 2020 Olmypic games just around the corner, you have to remember that there is going to be a lot of people in Tokyo and the other large cities, meaning that you will experience something that many other people have done, and not experiencing something unique. 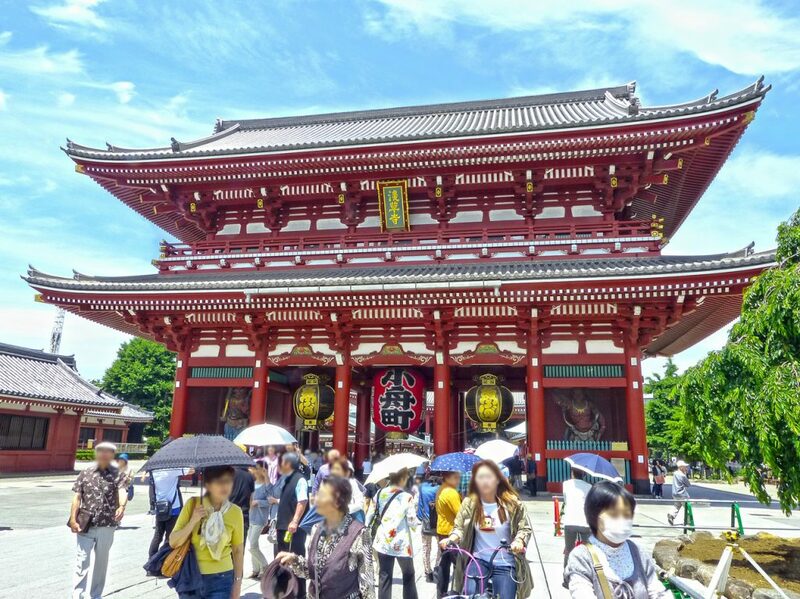 Getting out and about outside of the large cities is a great way of coming out with a one of a kind Japanese experience! There is a lot of amazing scenery that you just can’t get in the big cities. Sure, you can get stunning shots of skylines, but you miss out on the natural beauties which are all around Japan! Japan is surprisingly, one of the most beautiful nations, but it doesn’t have the major international reputation that other beautiful nations do. That’s because a lot of these beautiful sights are rare to come across on the internet, as a lot of people do not even know about it. Some of the best sightseeing times, are during the Spring and autumn, as the trees both have the most beautiful colours. The scenery in Japan is unmatched, especially if you love lakes, volcanoes, and mountains! But it’s not just the natural sights which are a marvel, but the architecture of buildings changes across the country. In the large cities, you don’t really get to see some of the traditional residential building designs, but in Rural places and smaller cities, these traditional designs are common and loved among the locals! 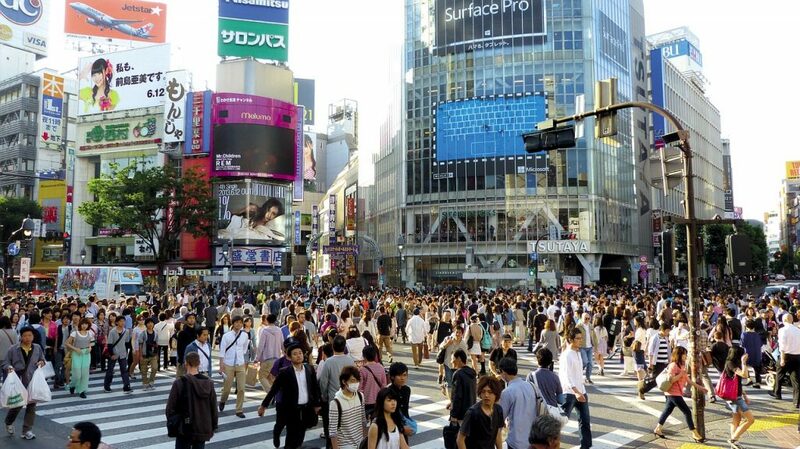 Tokyo can be described as a sea of people, especially during the morning and evening rushes. An average of 3 Million people pass through Shinjuku Station on a daily basis! Because of this, people just get lost in the sea of people and tend to adopt individualist personas, and not caring much about the fellow man. But outside of Tokyo and the other major cities, where the population is far less, people have a different approach to human interaction. Outside of Tokyo, people actually care about you, they will come up and talk to you if they are confident enough in their English skills. If you can speak Japanese, we encourage you to use it when talking to locals, you will meet some incredible people and hear some amazing stories. Some shop owners will even give you a discount on some products without you even asking! People will actually go out of their way to ensure that you get to the place you are going to if you are lost/seeking directions. This is the kind of selfless behavior which earns the Japanese the reputation of being one of the friendliest societies. Japan is home to numerous hidden gems, all around the country. Everywhere from the northern tips of Hokkaido, to the southern islands of Okinawa, and everywhere in between. Each prefecture, city, town, and village has something unique about it! A lot of prefectures have their own specialty foods or versions of popular foods, such as Okonomiyaki of Hiroshima, or Takoyaki in Osaka! Not only is there unique foods which are waiting for you to try, but there are experiences, that many people don’t know exist. You miss out on a lot if you just stick to the main cities. You miss out on a lot of experiences. In the large cities, if you visit an attraction, such as a castle, you will likely just get the standard experience. But in a smaller city, you might get offered a special experience, such as trying on some authentic Samuri armour, or even just replicas, all for free – and not just the helmet like most castles in large cities charge for, the full armor – But the important part is that it’s an experience you wouldn’t get in the cities. by going out of the big cities, you also open yourself up to the opportunity to explore the unknown, and see an entirely different lifestyle. 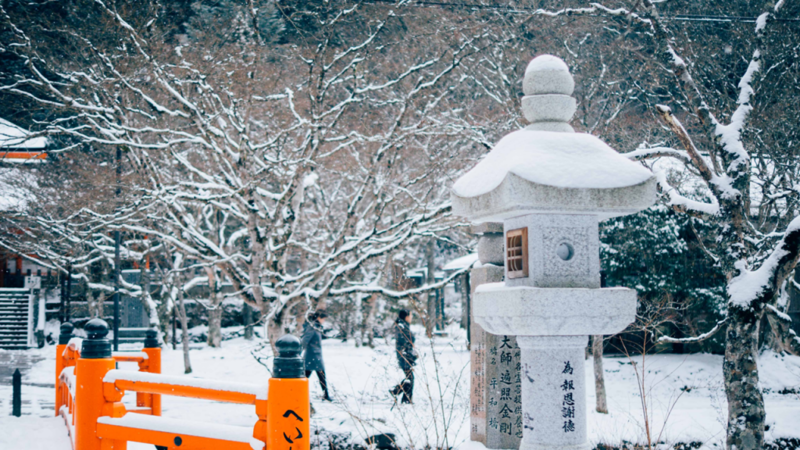 We hope you enjoyed our 5 reasons why you should explore rural Japan! Although the big cities have their own character, the rural places have just as much, or even more character than those better known places. The only way to get a true Japanese experience, is to get Off The Track, and explore what the beautiful country has to offer!